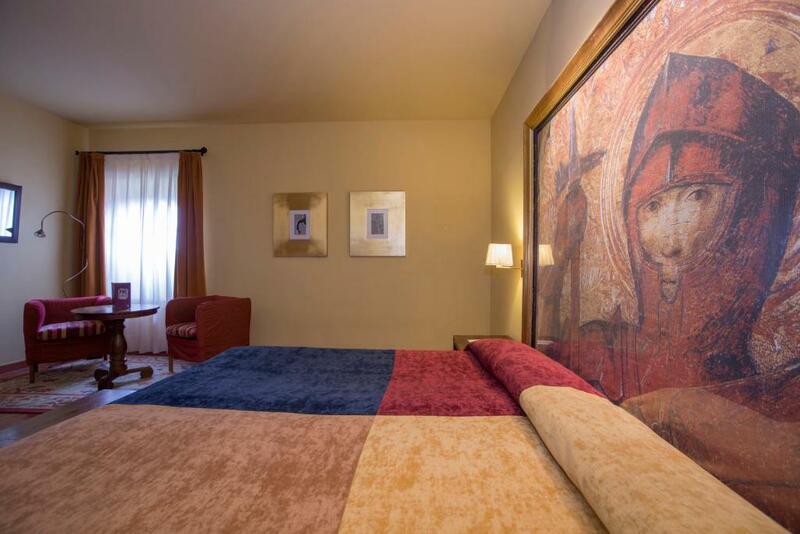 Lock in a great price for Parador de Trujillo – rated 8.8 by recent guests! Great location in the old town. Easy to find by car and with a convenient garage and parking lot attached to the hotel. Restaurant was excellent. The large room, high ceiling, great firm mattress, indoor garage. The Parador is close to Plaza Mayor, so most outings to see Trujillo can be done on foot. One should keep tabs on street names, as the winding nature of the streets can make orientation a challenge. 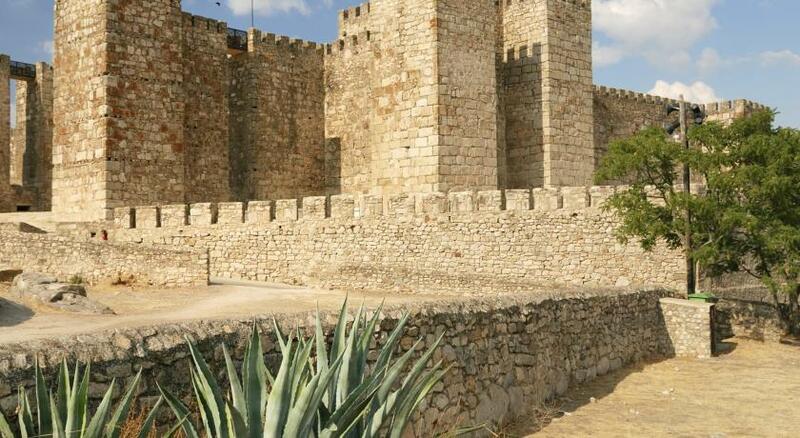 It was very difficult finding the Parador, perhaps because our Spanish speaking abilities are limited. We got quite lost on our way to the place, making for a very hot and frustrating afternoon.Once there, however, it was a delight for our senses and palate. Our hosts were welcoming; the pool , dinner and breakfast menus were quite delicious and plentiful. Spent three nights there in February. Great location for easy exit from town for day trips. Very close to main square, about a 5 minute walk. Had a couple of dinners in restaurant. Typical reliable parador fare. The atrium with the birds was spectacular. If you were lucky, you could peek at the castle from the room. We stayed at 5 of the paradores hotels in our first trip to Spain last month, and all of them were wonderful. Trujillo would make a very good base for visiting other towns in the area as it is quick and easy to get to and from the hotel and there is plenty of parking. Lovely location, very spacious room with adjoining sitting area, comfortable bed and soft pillows, clean bathroom, various courtyards in which to rest and have cool beverages, very good dinner and breakfast. We plan to return and stay longer! Beautiful old monastery restored to a fabulous hotel. Our first stay in a Parador and we were not disappointed. Excellent rooms and facilities. We only used it for a one night stay travelling by road through Spain to Portugal. A good half way stop. The beds and bathrooms were great. Our kids loved the pool. Cute little town. Fun to walk around. Good restaurants. Parador de Trujillo This rating is a reflection of how the property compares to the industry standard when it comes to price, facilities and services available. It's based on a self-evaluation by the property. Use this rating to help choose your stay! 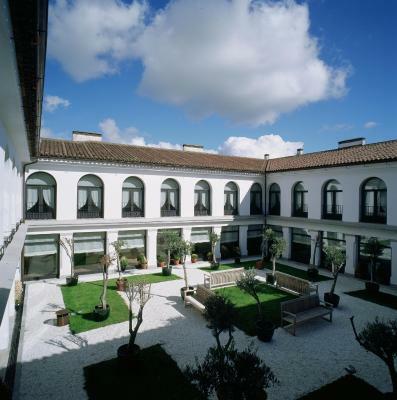 Housed in the beautiful old convent of Santa Clara, the Parador de Trujillo hotel is the perfect place to enjoy peace and tranquility in the historic city of Trujillo. Spend the day relaxing by the swimming pool in this hotel in summer. Here you can sunbathe on one of the sun loungers surrounding the pool, then take a dip to cool off. There is a snack bar onsite, where you can sample local-style cuisine, with modern touches. After dinner, you can sit back with a drink in the bar and enjoy the company of family or friends. 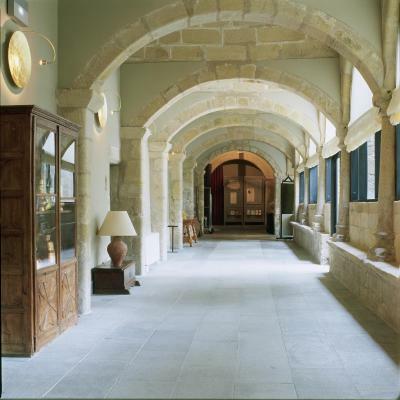 Admire the 2 fantastic cloisters in the interior of the building, where you can relax and enjoy a read bathed by natural light. 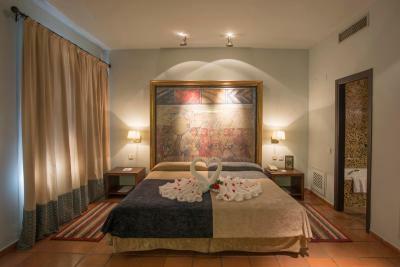 When would you like to stay at Parador de Trujillo? These spacious rooms used to be the old cells from the nuns of Santa Clara, the last religious order that lived in the building. All rooms have a flat-screen TV, a mini-bar and a private bathroom. 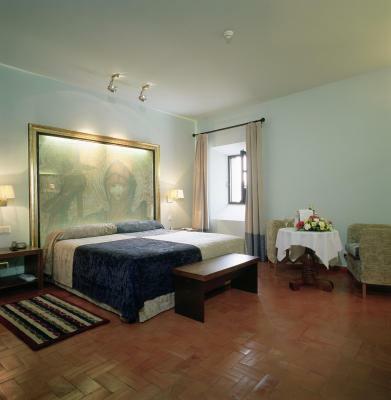 These spacious rooms were the old cells of the nuns of Santa Clara, the last religious order that lived in the building. They feature a mini-bar, TV and air conditioning. 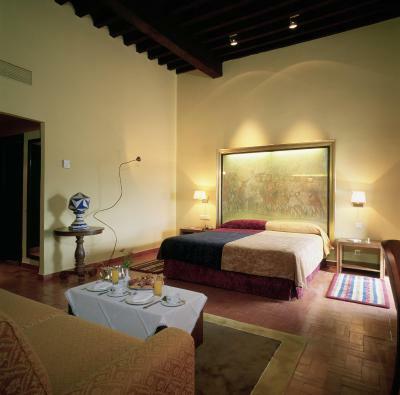 House Rules Parador de Trujillo takes special requests – add in the next step! Parador de Trujillo accepts these cards and reserves the right to temporarily hold an amount prior to arrival. Road Works around the Parador, but this was beyond their control. We had a very interesting Valentines Special meal and congratulate the Chef and Waiter Israel Jara and Anjel Sanchez both were excellent. The food was good as was the service. This Paradore exceeded every expectation. A very elegant building, comfortable and with a lovely calmness, set close to the centre of the historic town of Trujillo. But it was the staff who made our stay so special, Their attention to detail and to us made for a most memorable week. the conversion from ancient convent to hotel is stunning. Internet signal was weak or intermittent. Everything classy and well done. Tea at 6pm no problem and good. The parador is very good and the casco viejo absolutely wonderful. For those who understand Spanish, the two-hours guided tour of the Oficina de Turismo is a must. Good size room. Nice and cool inside hotel very high temperature outside. Decent meal..parking easy. Very good stay. The staff were excellent & very friendly, the Parador itself was very peaceful and away from the hustle of the Plaza Mayor. The only small thing we encountered was trying to get in and out of the parador for a day trip on market day. Roads all around the historic centre are closed which made it a little difficult to get in and out - but it is a small point. This hotel exceeded our expectations. The staff were wonderfully helpful, including meeting us in the underground car park to hand over our room pass and helping us park our car in an allocated space. The parador was perfectly located in the historic centre and a 10 minute walk to the main square and alternative restaurants. 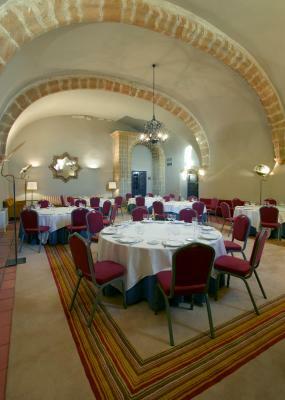 The parador also has a restaurant which we did not use. The breakfast is an extensive buffet breakfast. There is also a swimming pool and large terrace area, although we didn't use it, but it did look lovely. The room was absolutely stunning, including a small sitting area. Couldn't fault it. The hotel is also well located to explore other sights in the area and the old centre of Trujillo itself is a real gem. We would definitely stay here again. The signs for the Parking and Pool were not clear. The Parking spaces are too narrow and difficult to get in and out. Amazing location. 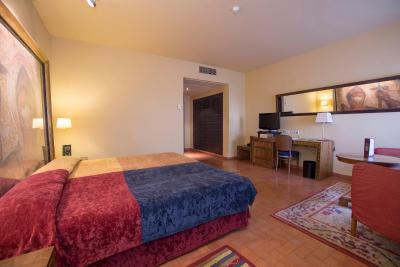 Nice large rooms and very clean and comfortable. Great food and service! Food at the restaurant was delicious. Spacious and comfortable rooms. We were disappointed with the food on the half board option. The choice was excellent but the food was bland and unimaginative. We don't mind our meat rare, but one of the pieces of my husband's pork was barely cooked. The chef had obviously realised this, as the undercooked piece was 'hidden' at the bottom of the other pieces. By contrast, the breakfast was fantastic. The room was huge and the bed was amazingly comfortable. As you'd expect from a Parador, the building was beautiful and full of character. The main square in the town is amazing. We enjoyed fantastic tapas at a restaurant / bar called Gloss. Great service and modern, tasty food. A walk around the castle walls isn't for the faint hearted, but I would strongly recommend it.